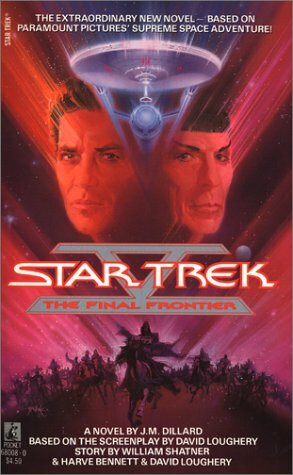 Ok then the movie is generally regarded as one of the failures of the Star Trek franchise but I don't hate it and there are some truly wonderful character moments in the story. This novelisation as you would expect gives us everything that is good about STV but adds so much more garnish to the story that you come away wondering what the studio were doing when setting the budget which limited to what they could do on screen. The background to Sybok as a child and how the events with his mother shaped him gave us so much more to work with and in turn added greatly to the Spock narrative later in the story. The extended storylines for the Klingons and the Ambassadors also contributed greatly to the enjoyment of the story. Novelisations at their best add to the movie and no doubt at all what we get from Jeanne should make even a STV hater sit up and take notice of perhaps what should have been even without the rock monsters. A highly recommended novel in it's own right and an excellent example of a novelisation.